Tenzin Osel Hita giving a talk at Aryatara Institute, Germany, February 2017. Photo by Hermann Wittekopf. Ösel in Mandala- all Articles. 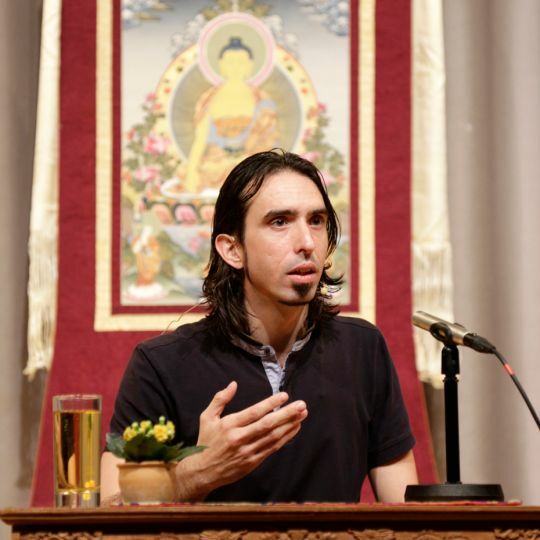 Audio of Ösel and Gomo Tulku engaged in Q & A at Amitabha Buddhist Center, Singapore, April 25, 2016. Audio and unedited transcript of Ösel’s talk, “How to Understand Reality from the Universal Point of View” in Bangalore, India, February, 2013. Interview with Ösel by Thane Burnett of the Toronto Sun. Interview with Ösel from July – September 2010 Mandala magazine. 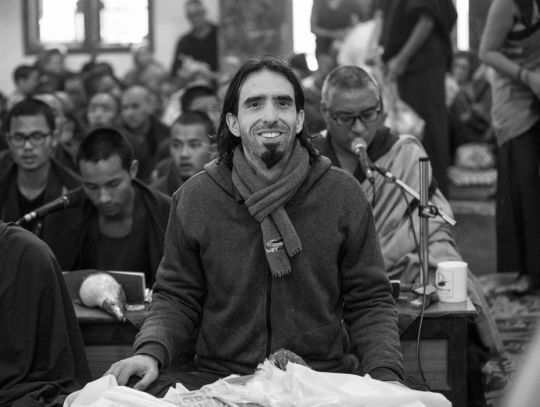 Videos of Tenzin Ösel’s talks. Tenzin Osel Hita during long life puja for Lama Zopa Rinpoche, Sarnath, India, February 2017. Photo by Paulo Regis.